A new front door will not only give your home some curb appeal, but provide a more secure environment for you and your family. 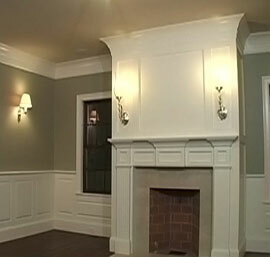 Give your room the finishing touch that only high quality moldings can. Our best kept secret. We sell shower doors too! Picking the right window can be difficult. Luckily our knowledgeable staff are here to help. Your full service home window specialist. 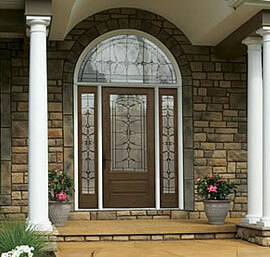 We carry only the highest quality replacement windows and patio doors for your home or business. We are proud to be a Milgard Doors and Windows Certified Dealer because we believe that Milgard is the top brand in the industry – there is simply no equal in terms of performance, style, and value. 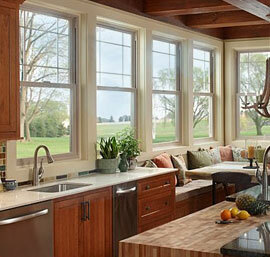 Come visit our showroom today to preview our fiberglass, wood and vinyl window selection. No matter what kind of style you're looking for, you'll surely find it in Windows, Doors & More's extensive selection of custom wood, iron, and fiberglass doors. We showcase many in our Lewiston showroom and we have a team of experts who are standing by to answer all of your questions and help you find the door that is right for you and your home. We look forward to seeing you soon! We offer so much more than just windows and doors. Moldings, shower doors, storm doors, stair rails, vinyl and concrete siding, skylights, door knobs, patio doors, glass & acrylic blocks, commercial bath accessories. Our extensive inventory allows us to be your one stop for all your specialty building needs. Use the link below to learn more about each of these product categories or stop by our showroom. 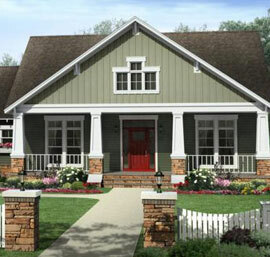 Imagining a new front door on your home is easy. Seeing it installed before you've purchased it isn't. Luckily we have state of the art software that will do just that. We can digitally put any of our Thermatru front doors on your home so you can see exactly what it would look like before you buy. Want to know what double doors would look like instead? No problem. We can show you hundreds of different models, colors and options!